Chai FM 101.9 Listen Live Online . Listen over 120 South African radio stations Online . Enjoy Live Stream of Chai FM from Johannesburg, South Africa . 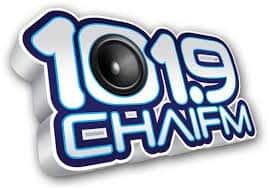 ChaiFM is a South African Jewish community radio station broadcasting to the greater Johannesburg area on 101.9 FM . It broadcasts 24 hours a day six days a week, taking a break from Friday night to Saturday night because of Shabbat . ChaiFM is the No.1 Jewish talk and information station in Johannesburg . Chaifm is the only English Jewish talk radio station in the world besides israel .